Why is there a need for a levy to fund school sports? Five years ago the school district was faced with a $1,000,000 funding deficit. At that time, San Juan Island School District focused all federal, state and local support on maintaining high level academic programs and San Juan Parks and Recreation (Island Rec) proposed a levy to fund the high school athletic program. Voters approved this partnership. Today, state and federal funding has still not been restored to a level that allows our district to fund both athletic and academic programs. Why partner with Island Rec? Island Rec and the school district share a common goal of providing opportunities for healthy activities and growth. As a junior taxing district, Island Rec is once again requesting voter approval for funding to support school athletics, allowing the school district to apply its limited revenue to a strong academic program. Who currently runs the high school athletic program? Through this levy, Island Rec currently pays for the school district to run the middle and high school athletic programs. With the renewal of this levy, SJISD coaches and the athletic director will continue to work for the school district, the school district will retain final decisions on program details, and the athletic program will continue to be reimbursed through the Island Rec levy. Why does the district’s athletic program need the 12 cents (of the 38 cents) requested in the Island Rec levy? 12 cents is needed to fund our six year average athletic expense budget of $298,000. This amount will fund the current operational budget, post-season expenses, uniform expenses, capital equipment items and the refund of an overpayment by the San Juan County Assessor’s Office. It is the goal of the SJISD, and of Island Rec, to maintain the current school athletic program as it exists. Is this an increase in the levy amount from 5 years ago? Yes this request is an increase from 7 cents to 12 cents for athletics. Though the athletic program has not grown, program costs have increased, property values have decreased, and the district will refund the recently discovered tax overpayment by the San Juan County Assessor’s Office. Why not raise the student participation fee? Students currently pay a one-time ASB card fee of $30, and a participation fee of $150 dollars per sport. This is already one of the highest fees among any of the high schools in the state. If enrollment has declined why are the number of sports programs the same? Overall district enrollment is declining but the number of students participating in athletics is increasing. It is the desire of the school district, and Island Rec, to provide students with as many healthy extra-curricular opportunities as possible. We have minimum participation numbers in place for programs and any programs that fall below these thresholds will be reviewed for continuance. Currently, all of our existing programs meet the participation requirements. Why should I pay for a program that doesn’t involve me? A strong, healthy community supports programs that foster positive connections and healthy choices for youth. There has been much educational research done related to the benefits of high student participation in athletics; i.e. better classroom attendance, higher academic performance, a stronger school culture. On San Juan Island one of the most important qualities of high school athletics is that it crosses all boundaries of our high school-age population. High school athletics are available to all homeschool students, private school students, and public school students who meet the academic eligibility requirements. Not every student is involved, but thanks to the generous scholarship support of the Purple and Gold Club, every student has the opportunity to engage in a healthy, team-based, self-competitive program that leads to physical fitness, mental discipline and emotional connections with teammates. Positive choices for youth are vital to a healthy community. What’s the arrangement with the Community Park? 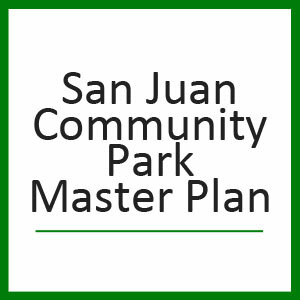 The newly developed San Juan Community Park is built on land that is owned by the school district and has been developed through donations and volunteer efforts by Friday Harbor Athletic Association. The community park will be maintained and operated by Island Rec, and will provide playing fields for high school sports and a recreational facility for community use. A special THANK YOU to Matt Pranger for use of his photos on this site.